Our offered range is availed in a variety of sizes like 1 Tr, 1.5 Tr, 2 Tr, Etc and other such specifications to choose from.We deals in LG, Samsung, Voltas, and other such brands. Window AC offered comes designed and developed using latest technology support so as to provide for reliable work performance. Our company has achieved laurels for providing Window Air Conditioner to the clients. Offered range works smoothly with an uninterrupted air cooling facility and premium quality. 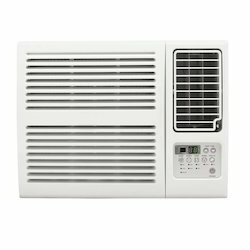 Window Air Conditioner is made with a high quality raw material and modern technology under the supervision of skilled professionals. 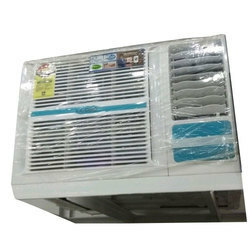 The company is chiefly engaged in the importing and supplying of the latest range of Window Air Conditioner in all over the India. Our range of Window Air Conditioner includes Hitachi Window AC, Voltas Window AC, Voltas Window AC, Videocon Window AC, and O. General Window AC. White Color, Air Circulation (In) - 430/418/398 CFM, Moisture Removal Yes, Anti-bacterial Filter Yes, Auto Restart Yes, Sleep Mode Yes, On Timer - Yes, Off Timer - Yes, Condensor Material Copper., Box Contents - Main Unit, Remote Control, User Manual Elegant Remote Control. Auto Restart with Memory Backup. Window ACs available in 0.75/1/1.5/2 ton and 3/2/1 star, brings together the benefits of superior cooling, energy-saving performance and aesthetic looks, all in one unit. Advantek Air Systems Pvt. Ltd.